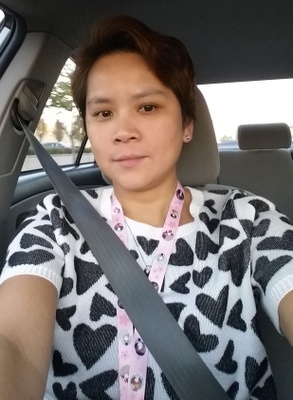 Xiuxia “Michelle” Chen, a 44-year-old Chinese woman, was shot and killed on Friday, July 2, in the 2700 block of Valley Boulevard in Alhambra, according to Los Angeles County coroner’s records. Chen, a mother of two, was the manager of the Ambassador Inn hotel at 2720 Valley Blvd., where she worked from 3:30 to 11:30 p.m., said her husband, Armando Escandor. A man came into the hotel office about 11 p.m. and tried to rob her, shooting her at least once in the torso, according to a Los Angeles County Sheriff’s Department news release. A co-worker found Chen on the ground bleeding and called 911. Chen was pronounced dead at the scene at 11:34 p.m., according to coroner’s records. Chen had worked at the hotel for six years and been the manager for two, Escandor said. He’d tried to convince Chen to work an earlier shift, but his wife was content with the evening hours. “She told me, ‘I don’t like the morning shift. There’s too much work to do in the morning.’ And when I asked her to quit she always said no. She wanted to work and she loved what she was doing,” Escandor said. Chen grew up in Fujian, China, near Taiwan, and moved to Saipan to find work. That’s where she met Escandor in 1991. He had come from his home in the Philippines to be a supervisor in a garment factory, and she was a seamstress for the same company. They began dating and were married in 1996. When the economy went bad in Saipan, they decided to move to Los Angeles, where Escandor had a friend who could help him get established. They came with their son in 2001, and their daughter was born in 2005. She’s 11 now, and getting straight A's in school, Escandor said. He is a franchisee for Primetime Shuttle, and their 21-year-old son is stationed in San Diego with the U.S. Navy. The hotel lobby has multiple surveillance cameras, Escandor said, so he is hopeful investigators will be able to get a good description of the shooter. And he’s given lots of interviews hoping someone will be moved to come forward with the shooter’s name. “There’s just the three of us in our family now, and we’re trying to be strong,” he said. Photo of Xiuxia Chen provided by her husband. So sorry for your loss. She could have been any one of our mother/wife. — Sorry June 9, 2017 at 2:28 a.m.